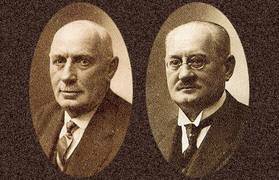 In 1894, at the age of only 25, Hermann Heller establishes the company "Hermann Heller Handelsgeschäft und Produktion von geschützten Artikeln und Uhrmacherwerkzeug" in Nürtingen, trading and manufacturing patented products and watchmaker’s tools. Initially, the company trades and also manufactures a diverse range of tools, including parallel jaw vices in enhanced design, which are in high demand at the time. However, the company's product range also includes spiral steel stairs and chimney heads. 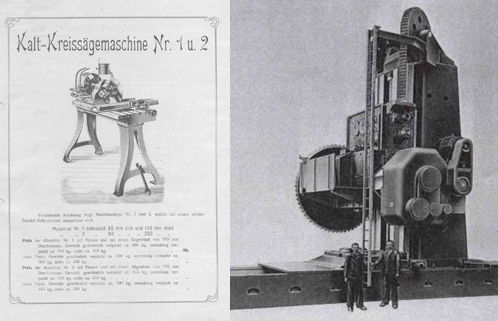 What started out as a small trade company, develops into a profitable machine building business in 1898 with the development of a cold circular metal sawing machine and saw blade skiving and thread cutting machines. In 1899, the company starts with the construction of the first factory in the "Neuffener Vorstadt" suburb. In 1900, the company moves into the new facilities. The portable oscillating saw and the manual sharpening device significantly contribute to the economic success of the company. It becomes an indispensable tool in railway construction. In the following years, the company develops further machines, including radial drilling machine model RB1. In addition to customers in the Swabian region, HELLER gradually established business relations throughout the whole of Germany. Documents prove that already in the 1920s the company exported its products to other European countries and even overseas, e.g. to Panama. At the beginning of the 1940s, the company is well set up in terms of technology. The machines made by HELLER, including milling machines for crankshaft machining and other special-purpose milling machines are already equipped with hydraulic controls. 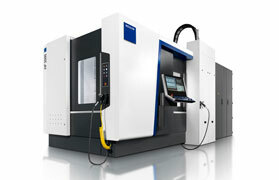 In the following years, HELLER continues consistent development of this particular machine technology. 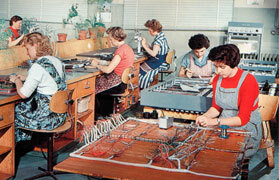 In the 1940s, HELLER assembles manufacturing lines in modular design. HELLER has established itself successfully in the machine building industry. Between 1917 and 1942, the factory located in the "Neuffener Vorstadt" suburb has to be expanded seven times. 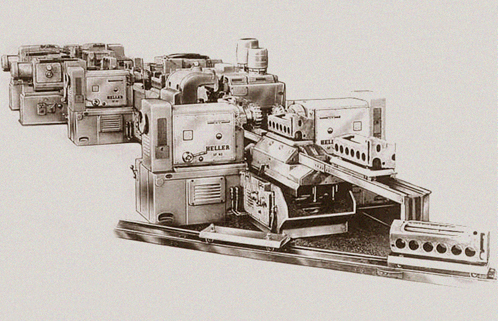 In the early 1950s, HELLER develops electro-hydraulic controls and introduces 24V relay control for machine tools. 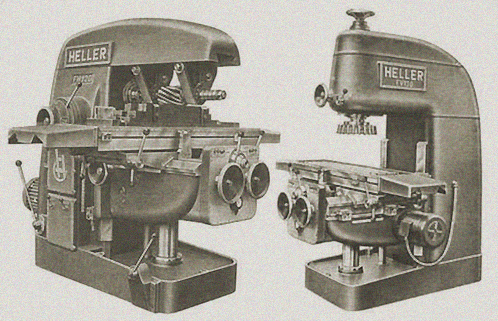 As early as 1962, HELLER builds numerically controlled milling machines and machining centres featuring automatic tool change, enabling to perform complex operations on a single machine. The first machining centre model BEA 80 NC is delivered in 1967. 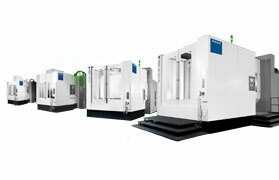 With a growing automotive industry the demand for efficient machine tools increases. 1974 sees the foundation of plants in England and Brazil. 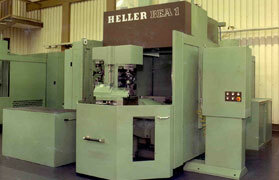 In 1982, HELLER starts series production of BEA machining centres equipped with state-of-the-art CNC control technology HELLER uniPro NC 80. 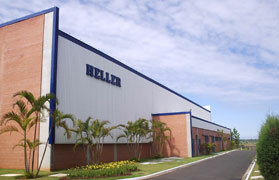 In 1982, HELLER opens a new plant in the US. The 1990s are characterised by increasing competition. The focus is on streamlining measures, increased productivity and quality enhancements. HELLER responds to this development with flexible and modular machining centres and system transferlines, tailored to the specific customer application. In 2004, HELLER establishes subsidiaries in Shanghai and Beijing. 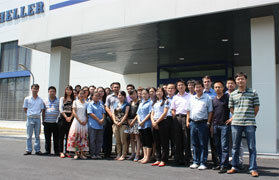 In 2013, the company establishes a factory in Wujin. 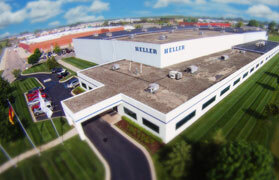 In the delicate balance between traditional mid-tier family enterprise and global supplier of innovative machining solutions the HELLER Group develops a unique global corporate culture. 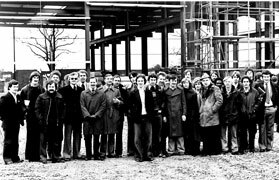 What started out with 7 journeymen and 3 apprentices 120 years ago has today become a globally active company, employing more than 2,500 qualified staff who can be proud of the company's success story and look to the future with confidence. Continuity in terms of management and on shareholder level is and will remain part of our policy. In mid-2013, the great-grandson of the company founder, thus representing the fourth generation of the family, became shareholder of the company in preparation for the generation change. Berndt Heller continues to act as Chairman of the Supervisory Board. A continually growing global competence network as well as partnerships and co-operations guarantee that the excellent reputation of the “Made in Germany” seal of approval can be complemented by a unique brand and quality promise: "Made by HELLER" – HELLER quality around the globe.